When you train with me, I will take you through not only the practice and techniques of clinical hypnosis, but also how one can build and market their business once these skills are mastered. We will cover everything from the role of the hypnotist, the laws of hypnosis and suggestions and de-hypnotization to how to build a practice and clientele (and everything in between!). Still skeptical? Take a look at my practice. I work Monday through Friday, 8:00am-11:00pm seeing anywhere from 65 to 90 patients per week. These kinds of hours are not for everyone and neither is this job. But for the right candidate, this won’t feel like work at all. I love what I do and I love locking up the office on a Friday night knowing that I helped so many people that week. I know how to establish a successful practice, how to advertise it and, most importantly, I know how to get my clients results! If you train with me, you are truly learning from the best. Mind you, this training is not only for those who wish to solely run a clinical hypnosis practice. Did you know that a wide variety of specialists in established fields could use hypnosis in their practice to expand their clientele? Are you a dentist or a doctor with a patient who is afraid of anesthesia? Did you know that you could hypnotize them instead? An especially resilient patient can be hypnotized by their psychiatrist or psychologist in order to recall lost memories, to overcome addictions or to lose their anxieties once and for all. When talk therapy is used in tandem with hypnosis, the results are highly effective! For more information, visit the hypnosis training page on my website and give my office a call at (212) 599-3195. Why waste one more day when you could be expanding your practice and finding new and reliable ways to helping your clientele? This entry was posted in hypnosis training and tagged become a hypnotist, hypnosis training, hypnotherapy practice by Dr. Errol Gluck. Bookmark the permalink. 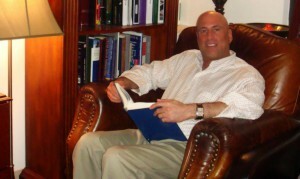 I am interested in becoming certified in hypnotherapy and would like to get more information about your program. Thank you.